BACK ON THE MARKET!!! Perfect Turn-Key Lock-n-Leave home. 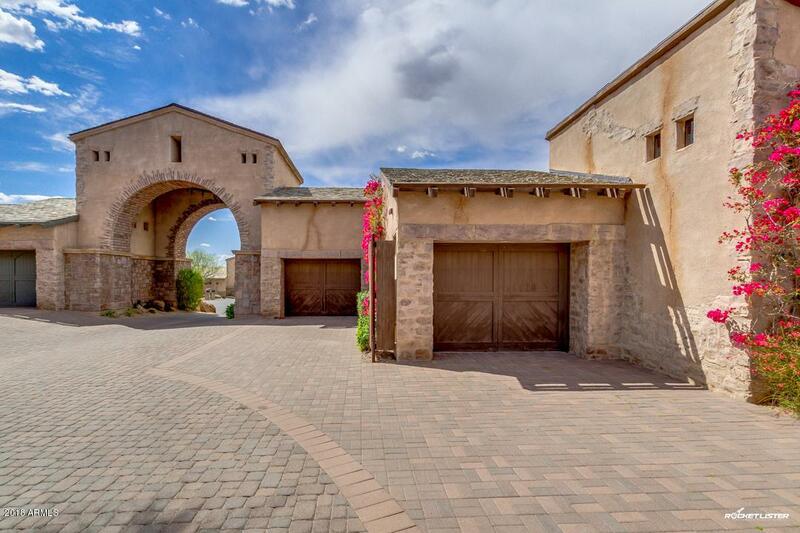 Exclusive Estancia Community, gorgeous sunsets and a stunning view of Pinnacle Peak Mountain. 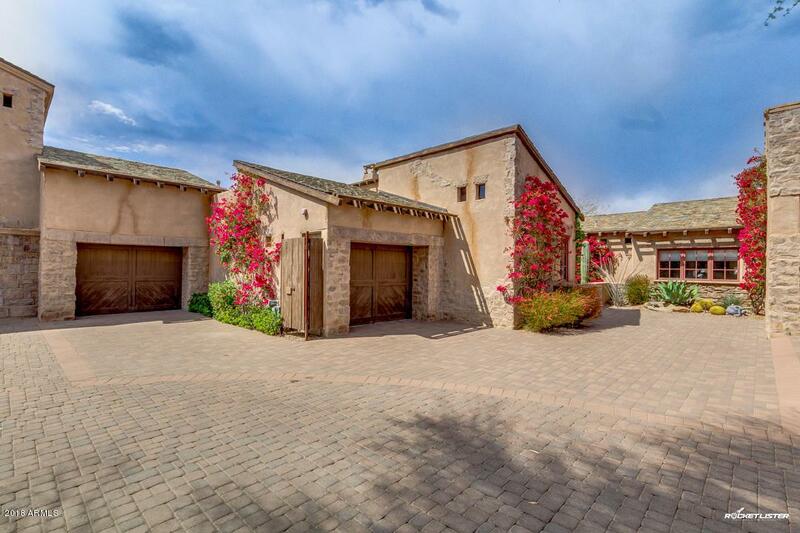 This Beautiful Tuscan style home is private, warm and inviting. Freshly painted (2017) after elegant remodel in 2011. Updated finishes which include granite countertops, hardwood floors, new cabinets, updated plumbing, upgraded lighting, garage cabinets/shelving/epoxy floor, custom his/her master closet's, sun shades for privacy/cooling. Luxurious master suite with jetted tub and separate shower. Large surround sound TV's convey. Private and cozy guest Casita...Entertain in a stunning private backyard with heated pool, waterfall feature, built in BBQ and cooling misters. 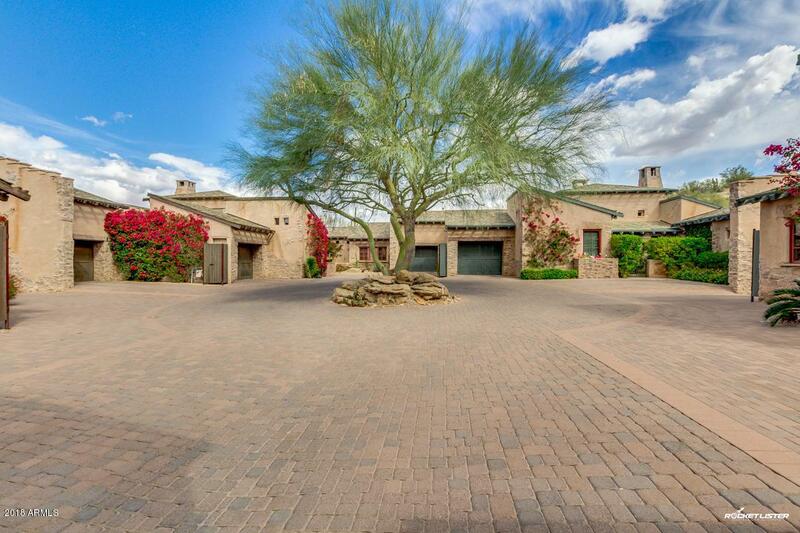 Full desert landscape w/auto sprinklers and landscape lighting. 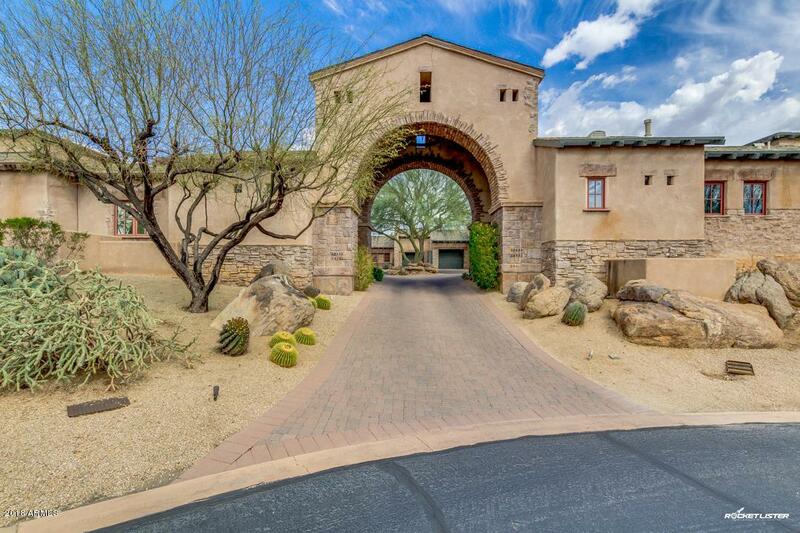 Exclusive Estancia golf club with clubhouse/restaurant, swimming pool and exercise amenities.